Currencies, exchange rate mechanisms and monetary policies are intrinsically political. On the African continent, this is often to the detriment of the populace’s financial sovereignty and wealth, with countries such as Zimbabwe, the Democratic Republic of Congo and Malawi, sporting the highest inflation rates in the world. From this talk, I hope the audience will foster a deeper appreciation for the role that digital currencies may have to play in developing these economic structures. Moreover, I want to inspire the crowd to dream about the next generation of payment tech on the African continent. At the early age of five, Jeansy was introduced to computers when his father acquired a second hand PC with the Windows 3.0 OS installed. He later gave him a “Using BASIC on the IBM Computer” book which he started reading, with this taking his first venture into programming. The premature fascination he had with intuitively copying lines of code from the exercises offered in this book sparked his love for programming. Since then he has worked on a plethora of successful tech projects including a bespoke accident claims management system for a local taxi company which replaced the flat-file spreadsheet in use and streamlined the processing of individual cases. It went on to turnover £600,000 worth of cases in 4 years. Jeansy was the runner-up in the Think Big Business Competition in the Information Technology category for the Kite platform, an e-learning platform targeted at developing nations. Arguably his biggest success, he led a team to first place in the Atos IT Challenge, for Breadcrumb, an application that makes it easy for you to manage your online reputation using a sentiment analysis algorithm and credit scoring feature. Throughout this period, Jeansy also further developed his corporate pedigree by working at two bulge bracket investment banks, speaking at events for Congolese youth and subsequently being recognised as a 2014 Future Leader by Powerful Media. 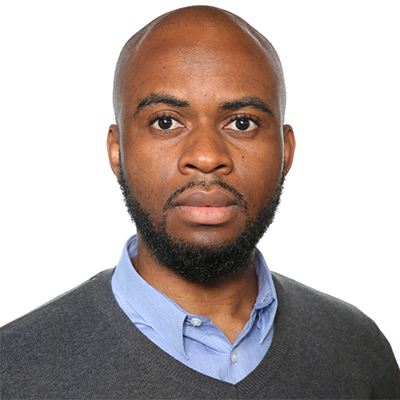 Jeansy holds a first class Masters degree in Computing and Management from Loughborough University, having graduated top of his class and being awarded the MSci Finalist Prize. He currently works as a Software Developer in the Equity Finance business at a leading investment bank. Jeansy is a full-stack developer with expertise in Java and Angular. Furthermore, he has a working knowledge/appreciation of CI/CD platforms such as Heroku, Google Cloud Platform and AWS. As evidenced by his past successes, his mind is relentlessly focused on the 3 P’s: products designed for people which solve problems.